Powerful high quality nylon wallplug with 4-way expansion. Provides optimum force distribution. High load-bearing capacities in solid and hollow building materials. Suitable for concrete, solid brick, natural stone and lightweight/aerated concrete. Fischer Nylon SX High Performance Plug 12mm (25 Pack) is rated 4.9 out of 5 by 20. Rated 4 out of 5 by Toolbelter from Good - Very Tight Used these with M8 coach screws in concrete. Insertion was tricky as they are oversize and so recommend blowing out your drill hole or they simply will not fit. Also, with an M8 screw, you will need a lot of torque and I found that either a torx or hex head screw was the only way to drive the screw home. Rated 5 out of 5 by Malkie from Great plug I needed to fix a shower grab rail to a wall that was tiled on plasterboard (laminated),so these were my first choice. I drilled holes to the dimensions on the box. I could obviously not tighten the screws fully for fear of cracking the tiles, but these fixings held the rail very firmly. I made the right choice. 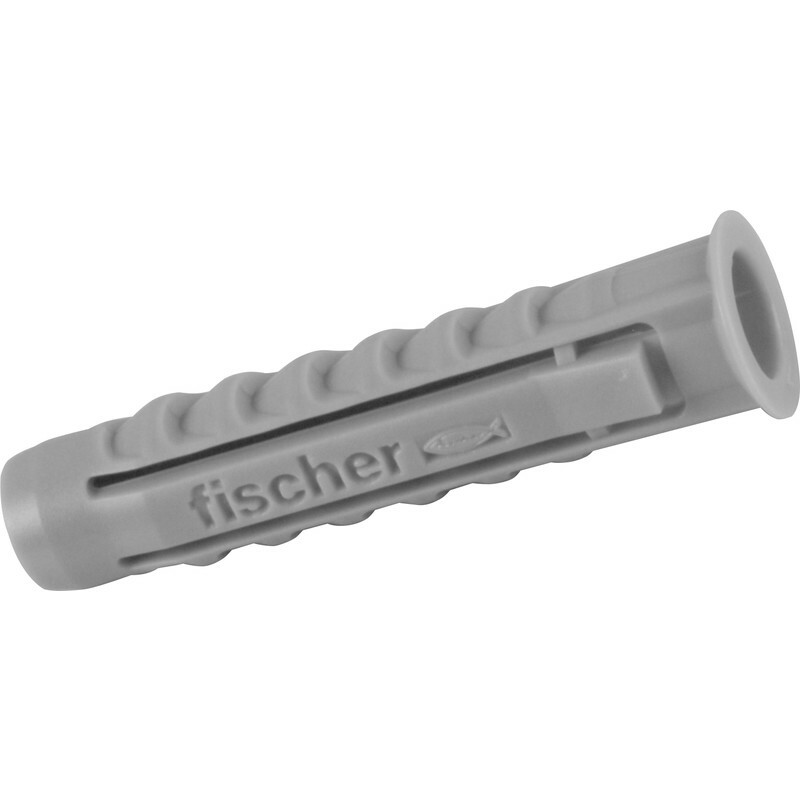 Rated 5 out of 5 by Benny from I like Fischer plugs Usually buy fisher plugs, always grip the wall well, never had one fail - touch wood. Rated 4 out of 5 by dj_judas21 from Work well Bought these to attach wooden studwork into masonry walls. They work fine, but it turns out I prefer the Fischer UX-R plugs as they are a bit longer, even though these are supposed to be better. Would be nice if the product listings had the lengths on them as well as the width. Rated 5 out of 5 by London mike 61 from A great addition to the toolbox I bought these on the recommendation of a diy forum member and I think these will be just the job when I want the plug to grip that extra bit. I haven't used them yet but I have high expectations.